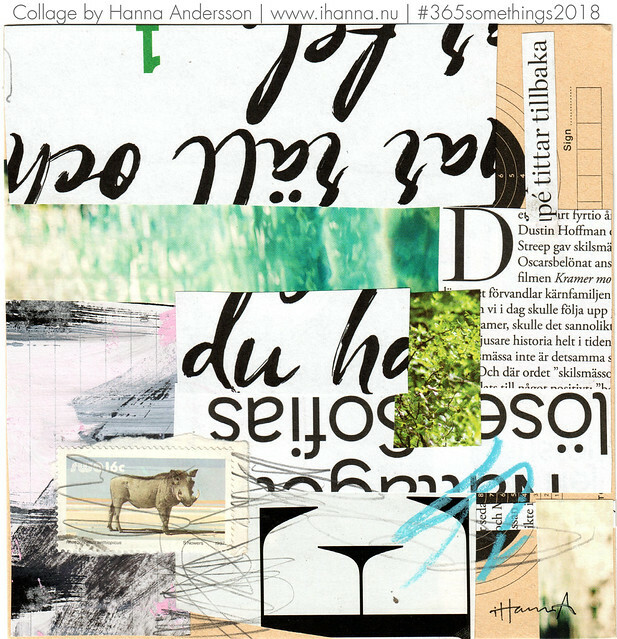 These collages are not for reading, even though they have a lot of text on them. I wanted to try playing with typography in a graphic sense again, and it was lots of fun cutting up text. Some are kept legible, other parts are half covered or cut apart. I love the way they look, and of course you can try deciphering them even though they are not made for reading… It’s up to you. Incomprehensible, a collage by iHanna. 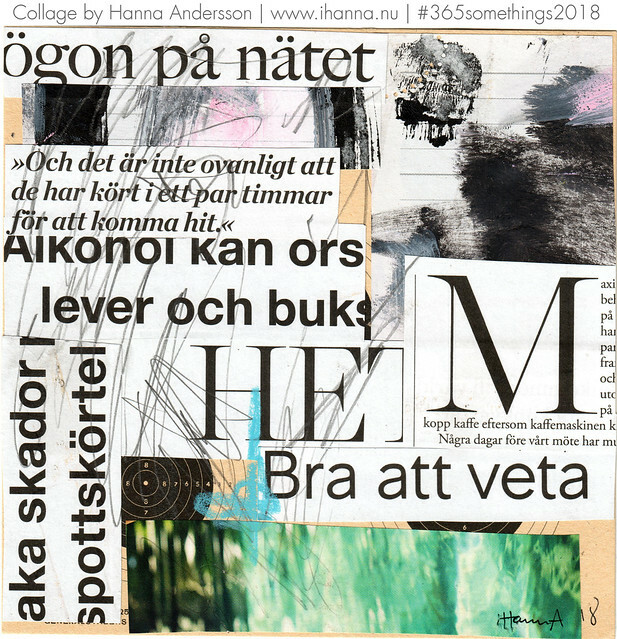 And if you do understand the texts on these collages (even though that is not the point), maybe you’re a genius (or maybe you just know Swedish)? Aesthetically they’re very different from what I usually make. Is it a mistake to think you can make art out of typography? Let me know in the comments. 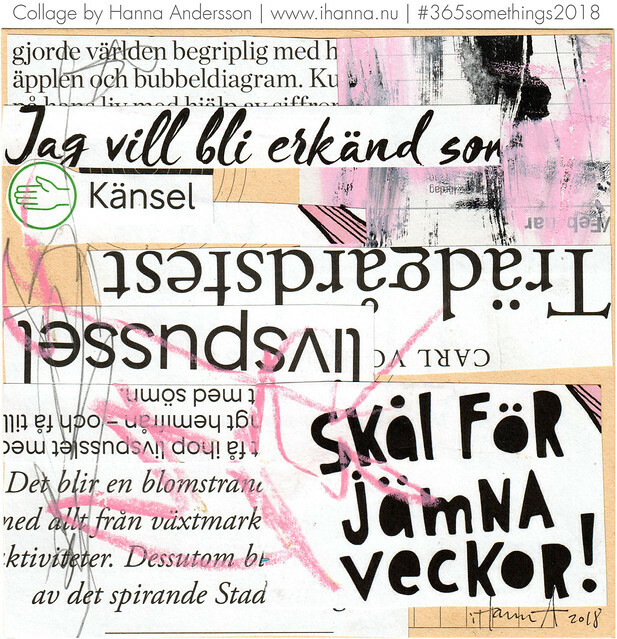 I Feel So Indecipherable, a collage by iHanna. 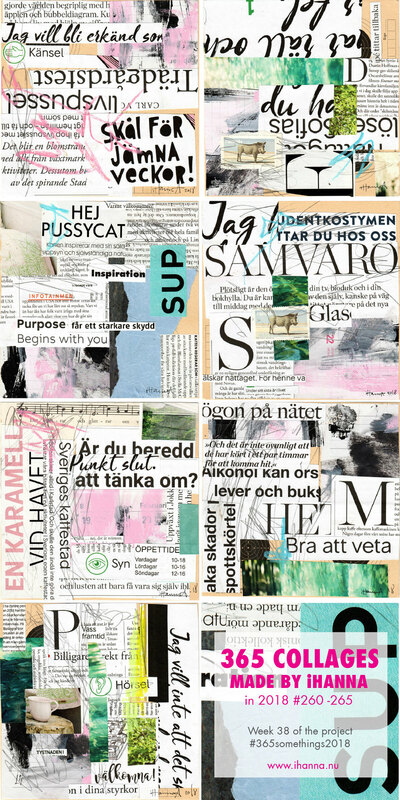 Hey Pussycat, a collage by iHanna. 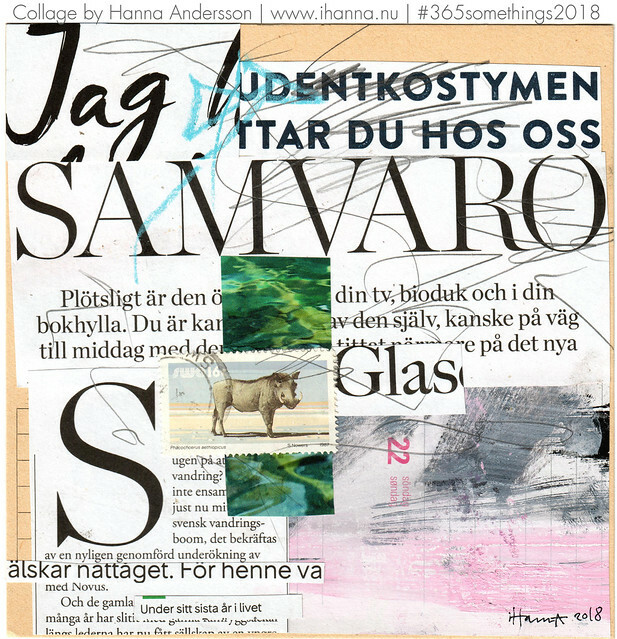 Transparent, a collage by iHanna. 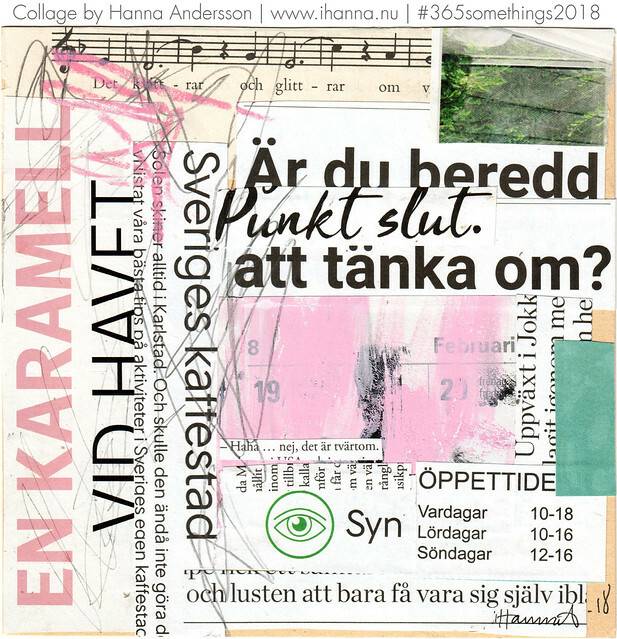 Confusion, a collage by iHanna. Sad to know, a collage by iHanna. Turning a Blind Eye, a collage by iHanna. Edit: Turning a Blind Eye was numbered 335, but that is the number of the previous collage, Sad to know, too. Because it was wrongly titled no 265 but should’ve been 266 I’m renaming it at the end of the year to 336 (although it still belongs in this week of course). But since I did name a collage the next week 266 and there is no “empty gap” (so then not to re-arrange all year) this will from now on be collage number 336! When there is text in front of you, can you not read it? 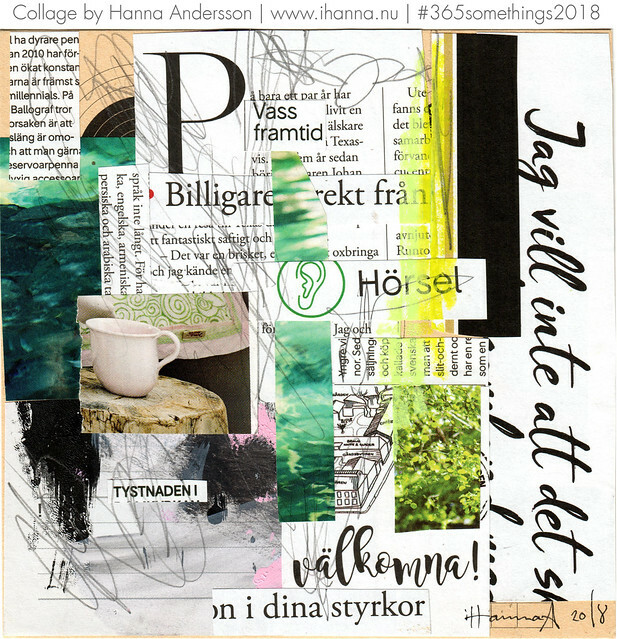 This entry was posted in Collage and tagged 365in2018, square collage, typography. Bookmark the permalink. Congrats on Week 38! I like the feel of balance, the pink, and love the donâ€™t on the bottom right hand side of Incomprehensible. Definitely a fun idea to play with typography! I love typography and using text and your collages are truly awesome! The text is in a foreign language for me (exept the “pussycat”) and that’s good ’cause I always READ when there’s text… I myself try to write ‘unreadable’ sometimes or transfer the text (mirroring it) to avoid people from reading. As Arielle says, your collages are so well balanced! Enjoy your Sunday Hanna! I love using my own language but still trying to make it not legible (or at least not understandable in this new context) but also using other languages, and mixing languages is also fun. :-) Thanks. It was a good Sunday over here. Thanks for these wonderful collages of things I love. A Swede from Wahoo, Nebraska! !